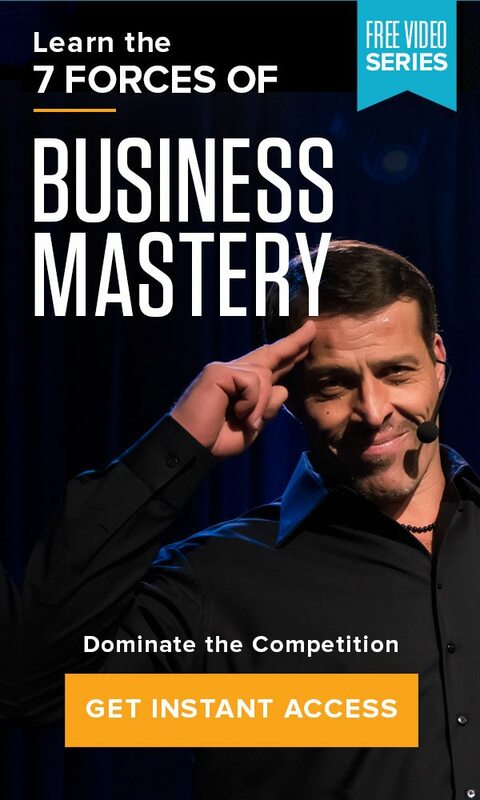 Home » The Tony Robbins Blog » Career & Business » Who can you trust? Anticipation is power. When it comes to running a business, this couldn’t be more true. But you can’t see everything, because you’re not superhuman – you can’t be everywhere, all of the time. You need a team to help carry the business and to help it grow. Unfortunately, not everyone will be honest about what’s happening when you’re not looking. The stories are everywhere: cases where business owners have had the rug pulled out from under them, been taken advantage of, or “bamboozled,” when they least expected it. What is required for building trust in the workplace – building trust in teams and the people you entrust with your business’ success? Here are three lessons from Tony you can use to avoid those damaging situations. One of the most important components of learning how to build trust and confidence in the workplace is understanding that partnerships can be highly beneficial to businesses. Partnerships allow you to take on new feats and collaborate with like-minded individuals to turn something small into a larger success. But partnerships can also be tricky and they require one thing above anything else: trust. Without that five-letter word, you don’t have a partnership, you have a shakedown. In order to avoid an unfortunate result, do your research. Dig into your potential partners’ credentials and do a thorough check of their background. And keep this Tony tip in mind: Just because someone comes to the table with money doesn’t mean they are credible. Building trust in the workplace does not mean you need to be naive. Rather, do your homework. Character is something we develop as we grow into adulthood. It’s influenced by many factors, and without any real effort, is unlikely to change. As Tony states above, not all of the people you hire will have a character that aligns with your values or beliefs. When that is the case, they might think a certain behavior is acceptable that you clearly think is not. Part of building trust in teams is hiring people who align with your own values and beliefs, and the conflict of questionable character will cease to exist. Meanwhile, putting the wrong person in a position of power can be detrimental to your company, so be careful to hire the right people and put them in the right roles. From questionable partners to money-embezzling employees, these people will only help you to identify what you’ve been doing wrong so that you don’t make the same mistakes again. It’s these lessons that help us to build the muscle we need to make our business rock-solid. Although it may sound counter-intuitive, learning to say no is actually key to building trust in the workplace. That is, in learning to deal with our errors of judgment in who we select as partners, we develop the stamina necessary to made difficult decisions and cut off people who harm our business instead of helping it. Of course, if you can be vigilant about these common misfortunes ahead of time, and take heed to Tony’s lessons, you might save yourself a significant amount of loss of both time and money. What does building trust in teams have to do with your broader business strategy? Is building trust in the workplace merely feel-good fluff, or is it a practical component of a strategic plan for keeping your business healthy and profitable? Let’s look at the statistics. Forbes reports that a whopping 55% of CEOs believe that a lack of trust in the workplace is not just unhelpful; it constitutes a “foundational threat” to the company’s viability. Academic studies concur, revealing demonstrable correlations between businesses building trust in the workplace and achieving economic success. The correlation makes sense, given the trust-based nature of the human psyche. Anyone, whether they are a CEO or a part-time employee, is unlikely to convey all their resources of time and energy to someone they don’t trust. So, when there is a lack of trust in the workplace, you’re not going to be able to maximize on your team’s full capacity. Conversely, when trust is part of a company’s culture, people can relax and collaborate, thereby leveraging their (and the company’s) full potential. If logic is not convincing enough, the numbers are clear: Compared with companies low on trust in the workplace, employees of high-trust companies report feeling more energetic at work (by 106%), more engaged with their jobs (by 75%), less stressed out at work (by 74%) and more satisfied with their lives in general (by 29%). And, employees of high-trust companies take 13% fewer sick days than employees of low-trust companies. So, take action today to learn how to build trust and confidence in the workplace.